Useless Ramblings: # 42 - Sarkar 3 - A review OR What the hell is Ram Gopal Verma smoking? # 42 - Sarkar 3 - A review OR What the hell is Ram Gopal Verma smoking? I admire Ram Gopal Verma. No, not because of his skills as a filmmaker, but because of his powers of persuasion. How does he convince people to finance his films? How does he sway distributors? How does he coax theatre owners? How does he repeatedly convince Amitabh Bachchan to work in his movies? How did he manage to rope in Abhishek Bachchan for a non-speaking appearance in Sarkar 3? Sarkar was a good movie, in fact, it was arguably the last decent movie that had RGV's name attached to it. RGV made no attempts at hiding his source material (The Godfather) but the adaptation was clever enough to hold its own. 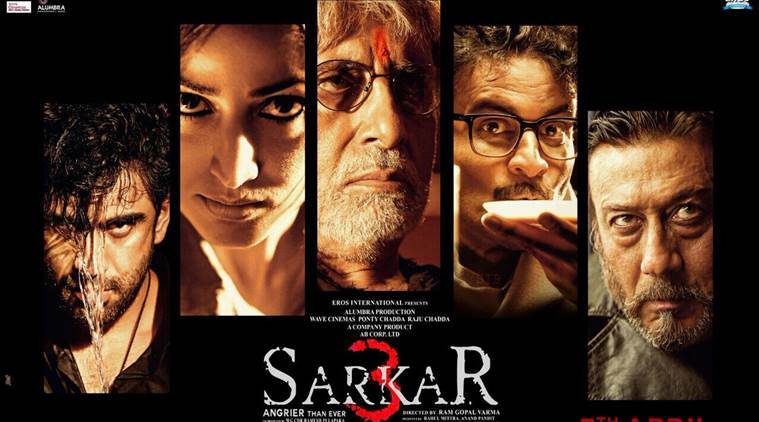 The sequel - Sarkar Raj, however, had nothing working in its favour apart from Bachchan, the senior Bachchan that is. Kangana Ranaut might as well have had Sarkar Raj in mind while speaking of nepotism in Bollywood – Sarkar Raj was an all family affair, it is likely that Ram Gopal Verma got a family pack deal ( Amitabh aur Abhishek ke saath Aishwarya free, or more likely, Amitabh aur Aishwarya ke saath Abhishek free). But Sarkar 3 manages to do something extraordinary, it makes Sarkar Raj look good. A. Introduction of Amitabh Bachchan aka Sarkar as the angry old man who wields tremendous power in Maharashtra. C. Big connected businessman seeks favour from Sarkar but of course, it is against Sarkar's ethics. E. "Yeh kaam main nahin karunga, aur tujhe bhi karne nahin dunga". G. Big connected businessman figures that the only way to carry out his diabolical scheme is to bump off Sarkar. He is aided by a number of pawns, viz. rival politicians, gangsters, etc. Roles played by stock RGV actors. I. Sarkar betrayed by someone close to him, but we are not sure who. K. Sarkar on backfoot. All is seemingly lost. M. Someone close to Sarkar dies. A rare vulnerable moment for Sarkar. N. Realisation that the Big Connected Businessman has the backing of an even bigger figure. P. In a swift turn of events, it is revealed that Sarkar had known who the culprit was all along. A figure who previously appeared to be incapable of aiding Sarkar, or not much of a threat to the enemies, comes to Sarkar’s aid. R. Montage of vengeance sequences. T. While the image of Sarkar remains as strong as ever, hints that the power has shifted elsewhere, fully with Sarkar’s consent. If the repetitive 'Govinda Govinda' bits above irritated you, imagine how bad it is translated on screen? Especially because unlike the first part, there is no remote context here, a guy might as well be saying "main susu karke aata hu", and our eardrums are bombarded with the overpowering theme, as if that line leads to a massive revelation. Now, the question isn’t how many times you can see the same plot with the same actor over and over again (hello there, Rahul & Prem), the question is what happened to the creative abilities of a director who had given us gems such as ‘Rangeela’, ‘Satya’, and ‘Company’? RGV’s knack of using odd angles has reached an all time low (pun intended). The camera focusses on the weirdest of objects repeatedly – if there is a subtle message that he intends to convey, the viewer is probably missing it. The camera, in particular, has an unhealthy obsession with three objects – a Lord Ganesha bust, a boxer dog statue/footrest, and a portrait of Abhishek Bachchan smiling. The third item gets equal screen time as Amitabh Bachchan; I sincerely hope Bachchan Jr. is making some money out of this. The very first scene of the movie makes it amply clear that this is a ride to mediocrity town. Sarkar is making a speech in front of what appears to be a crowd of zombies. Every time Bachchan takes a pause during his speech (which is way too often) the crowd mindlessly chants “Sarkaar Sarkaaaaar”. The tone unwavering, the pitch, unchanging. It might as well have been one single audio recording being played in a loop. Sarkar 3 does not go downhill as it progresses, it maintains its unexceptional quality with remarkable consistency, there is no redeeming scene or standout performance, no Amitabh Bachchan or Manoj Bajpayee can salvage this disaster. The script and the dialogues are so bad that this was a disaster even before the first shot, but RGV clearly took up the challenge to further eff it up. 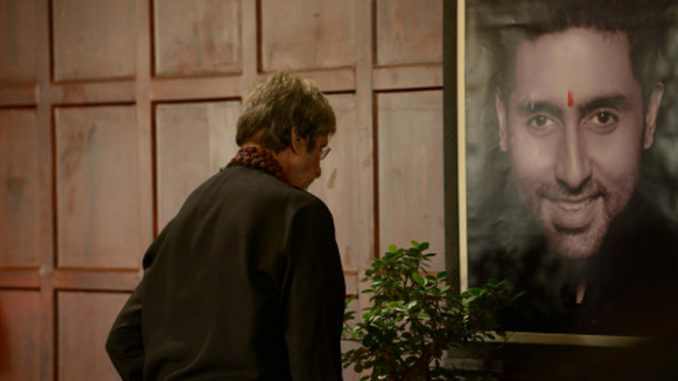 Amitabh Bachchan tries his best but is a let-down. 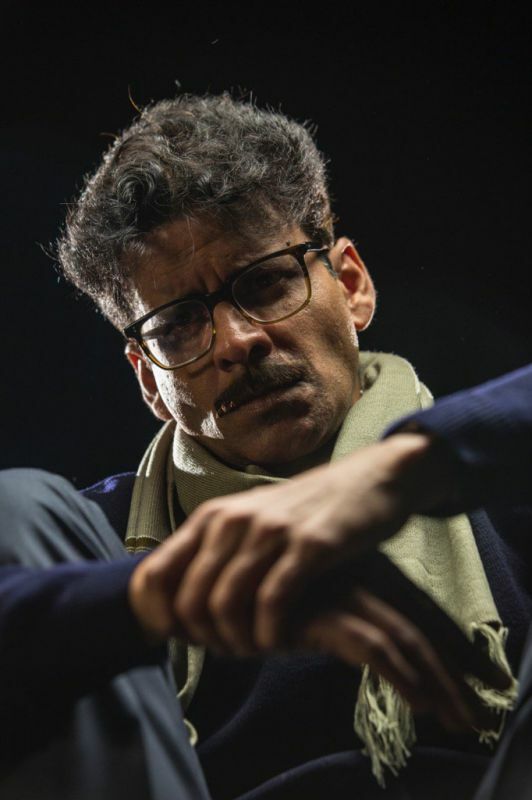 Unlike the Subhash Nagre from the previous films - who spoke little and in spite of his fragile appearance had an aura of invincibility around him; this time he is made to talk, a lot, and ends up sounding more like a delusional old man rather than, well, Sarkar. Manoj Bajpayee is the least worst of the lot. "They made me look like Kejriwal"
Yami Gautam looks good, her hairstyle reminiscent of stereotyped vamps from the 90s. From her vacant gaze, it appears she is still carrying a Kaabil hangover. Jackie Shroff: Oh, Jackie, Jackie boy. Looks like Ram Gopal Verma slipped you some of the stuff that he has been taking. Unfortunately, unlike RGV, you have to appear on-screen. Here’s a tip: Don’t act in a movie whose director called your son ‘a bikini babe’. RGV clearly doesn’t like the Shroffs. A career ruining performance this. Ronit Roy looks tough and angry. In other words, he plays Ronit Roy. Amit Sadh gets a meaty role with sufficient scope for performance but is a thorough disappointment. Jackie Shroff is a tough act to beat, but Amit Sadh is the clear winner here. He hams as if there’s no tomorrow, and falters in every department of acting. This is particularly sad because he was quite decent in 'Kai Po Che'.With this performance, he joins the unholy quartet of Sonu Nigam, Katrina Kaif, Sonam Kapoor, and Imran Khan - arguably the worst actors to have ever graced the silver screen. At least Sonu Nigam has an alternate profession, and the others have famous relatives/'friends', to the best of my knowledge Amit Sadh has neither of the two, so he better buck up. There are two scenes that merit special mention. The first [refer to point (E)] is when Sarkar turns down the businessman's request. After a brief period of uncomfortable silence, the businessman finally says something - we imagine that he is either going to plead or threaten. Instead, he says those three two magical words to Sarkar before departing. The second scene is a more subtle one, I presume that it is an ode to the fact that in RGV's parallel universe, nothing is quite what it appears to be. Amit Sadh receives a call from Parag Tyagi (Sarkar's aide) asking him to come down. Amit Sadh informs Parag over the phone that he will be right there. What is so odd about this, you ask. Not much, except that the character of Parag Tyagi is mute. Why and how he conveys to Amit Sadh that he is downstairs and is expecting him remains the biggest mystery of the movie. But that's Ram Gopal Verma and his films for you. Perhaps his movies are way too ahead of their time, maybe they are great and we are the ones who don't get them, or maybe he was serious when he had said that he makes movies for himself and himself alone. Perhaps directing movies is his own way of telling people to 'FO'. But, there is one thing I am fairly certain of; for all his powers of persuasion, nothing is going to convince movie-goers to watch an RGV film playing in theaters anytime soon. Images taken from here, here, and, here.